We have noticed an increase in the frequency of fraudulent calls by individuals posing as IRS or United States Treasury officials. This Client Alert summarizes important information on how to respond in the event you are contacted by someone stating they are from the IRS, United States Treasury or other state or local taxing authority. Request the employee’s name, badge number, and call back number, and record the caller ID information (if available). 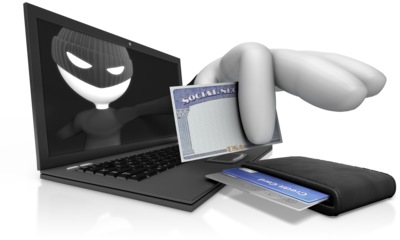 Do not provide any personal or financial information to the individual. The IRS does not request financial account numbers, passwords, or other sensitive information. Do not make any payments. The IRS or other officials will never demand payments via Western Union, MoneyGram, bank wire transfers, iTunes gift cards, or other gift cards. If the caller becomes threatening, hang up. Report the incident to the Treasury Inspector General for Tax Administration (TIGTA) at https://www.treasury.gov/tigta/contact_report_scam.shtml or call the IRS at 1-800-366-4484. Contact us for additional guidance. Do not open any attachments. Do not click on any links contained in the email. Forward the email to the IRS at phishing@irs.gov. Please send a copy of the letter, notice or form to us for review. We will then determine the legitimacy of the inquiry and determine what action steps need to be taken. Do not reply with any personal or financial information if you suspect the letter, notice, or form is fraudulent. Conclusion: The IRS does not initiate contact with taxpayers by phone or email to request personal or financial information. This includes any type of electronic communication, such as text messages and social media channels. These are fraudulent inquiries. Additional information from the IRS on how to protect your personal information is available on the IRS website www.irs.gov in the “Taxpayer Guide To Identity Theft” and in IRS Publication 4524, “Security Awareness For Taxpayers.” We would be happy to send you copies of these publications upon request. It is important to remain vigilant in securing and protecting one’s information. If you ever have any questions, please do not hesitate to contact us. Read more Tax Alerts here.